While we've seen the month's ten best-selling games overall, it can often be more interesting to break down game sales by platform, and see what the ten best-selling games were for each system. The NPD Group have today released that data to industry news site Gamasutra, and it shows tow key points. One, that multiplatform games almost always do better on Xbox 360 than they do on PS3. 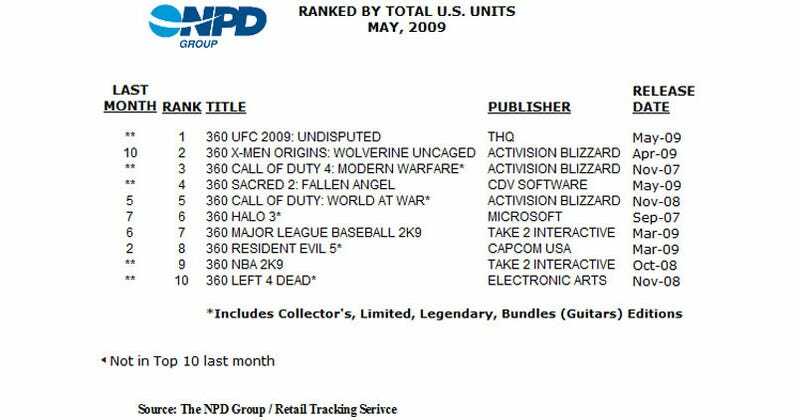 And two, that Wii owners are buying fitness games as fast as companies can get them on the shelf. Gold's Gym? Really, Wii owners? Really? To see each platform's top ten, head over to Gamasutra.